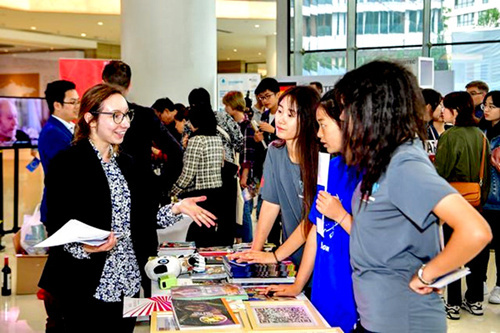 On May 10, European countries held a fair to showcase their unique customs and traditions at the Center for China-Europe Cooperation in Chengdu, Sichuan Province, during the anniversary celebration campaign for the center. LONDON—On May 25, Chatham House released a report titled “EU–China Innovation Relations: From Zero-Sum to Global Networks,” shedding light on the future landscape of EU-China cooperation in innovation. The report pointed out that fostering collaboration in the realm of innovation will benefit the European Union and China alike. According to the report, transnational innovation networks can boost innovation outcomes for both sides. The report recommends that European and Chinese leaders encourage people to have an open mind about the potential for innovation to enrich the engagement of researchers and enterprises in global networks, rather than seeing it as a national or regional project. Dic Lo, a professor in economics of the School of Oriental and African Studies (SOAS) at the University of London, said that in order to strengthen academic exchanges, it will be useful to have institutionalized collaboration in the form of cosponsored conferences, joint research projects and joint teaching or training programs. Lo took SOAS as an example of the importance of China-EU academic cooperation, saying that social sciences and humanities at SOAS—economics in particular—have a strong tradition of studying China from progressive perspectives. In addition, SOAS scholars working on broader issues of world development have a strong interest in China—not least because China has served as a model of development in modern times, especially in view of the ongoing Belt and Road initiatives, Lo said. “EU-China 2020 Strategic Agenda for Cooperation” outlines several initiatives to push EU-China innovation relations forward, including establishing a China-EU cluster cooperation initiative to strengthen collaboration in fields of strategic interest, such as sustainable growth and urbanization; further exploring joint research and innovation initiatives, in particular in the areas of food, agriculture and biotechnology, sustainable urbanization, aviation, water, health and ICT, by developing joint funding programs and promoting enhanced mutual participation of Chinese and EU researchers and innovators into respective programs. Summers also reiterated the significance of academic cooperation, saying “many of these challenges are shared across borders, and need shared solutions. Encouraging transnational research networks can help, as can meaningful dialogue between governments to support the exchange of ideas.” Summers said that there is much potential for the European Union and China to collaborate further in sustainable development studies, such as green finance, and basic research. The report stressed that the governments should facilitate the cross-border registration of patents by their nationals “so that the EU and China can effectively become the world’s largest single market for innovation.